PIP Action Campaign has now published a summary of the responses from pregnant mums which it will submit to the European Commission’s Call for Information along with other REAL WORLD evidence about the real and horrific dangers of PIP Implants. In the Scenihr Final Opinion, published in 2014, two deliberately misleading paragraphs are devoted to the issue of pregnant and breastfeeding mothers. Based on both one and two generation studies there is no evidence that the cyclic siloxanes cause developmental toxicity, or have an adverse effect on rat fertility. Taken in conjunction with the bioavailability and other considerations discussed above it can be concluded that no risk, due to the release of D4 and D5, is anticipated. Low levels of siloxanes in breast milk have been found in a single subject with a ruptured PIP implant. However, siloxanes have been found at detectable levels in over 20% of breast milk samples taken from women without breast implants. Moreover, commercially available semi-skimmed cow’s milk was found to contain considerably higher levels of total silicone than the sample of breast milk taken from women with a ruptured PIP implant. Thus, no identifiable increased risk for the nursing infant is anticipated from breast milk from a mother with ruptured breast implants. None of the evidential references relied upon are cited! The safety assurances are provided by the Scenihr committee: a mix of industry and regulatory individuals. It is impossible to refer to these individuals as ‘experts’ or as ‘scientists’ or indeed as independent, transparent or providing a high standard of inquiry into the real dangers of banned PIP implants! The MHRA experiment involving one sample of breast milk from one pregnant mum with PIP compared to semi-skimmed supermarket milk is among the clearest and most shocking examples of the unacceptable standards overseen by the Commission in its supposedly ‘scientific’ review of the early evidence. The majority of women are of reproductive age and some have been pregnant with PIP. The Scenihr still failed to recommend the preventative removal of all PIP implants. We wanted to know, from women pregnant with PIP implants, what their experiences of PIP have been. We asked them to complete our PIP Mums Survey and answer 20 questions. By the 2nd October 2016 we had received 60 replies from 58 pregnant PIP mums. Some of the responses are not presented in the summary because they are of a personal nature, or because they need to be read in association with the respondent: for example, “How many years have you had PIP?” The PIP Mums’ Survey Response Summary lists all the answers received in response to each question and makes very concerning reading. PIP Mums are providing enormously valuable information that urgently needs to be addressed by the European Commission. PIP Action is preparing to submit the PIP Mums’ Survey Response Summary to the European Commission, together with other REAL WORLD evidence in addition to the full-text, peer reviewed studies already submitted. This evidence demonstrates not only the fears and pressures, pain and anxiety of women with PIP implants are facing but the real health concerns they have for themselves and for their PIP exposed children. PIP Action Campaign’s REAL WORLD evidence is a call to the European Parliament and to the European Commission to act without further delay to protect all those exposed to PIP implants. Setting the standard for treatment for women with PIP implants around the world. 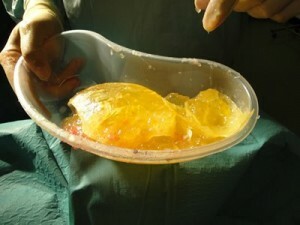 Women with PIP implants are victims of health fraud. Women with PIP are victims of a hate crime. Women with PIP are victims of political decision-making by national and European authorities. Women with PIP expect the Notified Body in this case, TÜV Rheinland, to enact civil liability insurance without further delay. We also expect the European Commission to act to protect all those exposed to PIP implants and respect the rights of all the women under Article 152 of the EC Treaty to ensure access to the diagnostics, care and treatment women need to preventatively remove all banned PIP implants. There is a clear requirement for ongoing research and monitoring of women and children exposed to criminal PIP implants and to provide all EU women redress and compensation.